Hair Club Dallas is located in The Crossings office building on the LBJ Campus just east of the Galleria Mall. We are in a 10 story dark stone (granite) building. The first floor is all glass. A sign on the top of the Building from the West side states "Dynamex". Texas Bank is located on the ground floor. Important Notes: Please be aware there is some ongoing construction around the Hair Club Dallas center. If you have difficulty finding the center using the directions below, please call 214-431-5454. Take the Dallas Tollway South towards Highway 635 (Lyndon B. Johnson Freeway). Take Highway 635 East (Lyndon B. Johnson Freeway) to Exit 21 (Preston Road). After exiting, stay in the left hand lane and make a u-turn over Highway 635. DO NOT get on Preston Road. Stay on the access road in the center lane and go through the stoplight at Montfort Drive (DO NOT turn). Move into the right hand lane after the stoplight and turn into the building marked "The Crossings at the LBJ Campus" at 5429 Lyndon B. Johnson Freeway. Watch for the sign at the driveway "The Republic Group". We are the building to the left side of that sign. 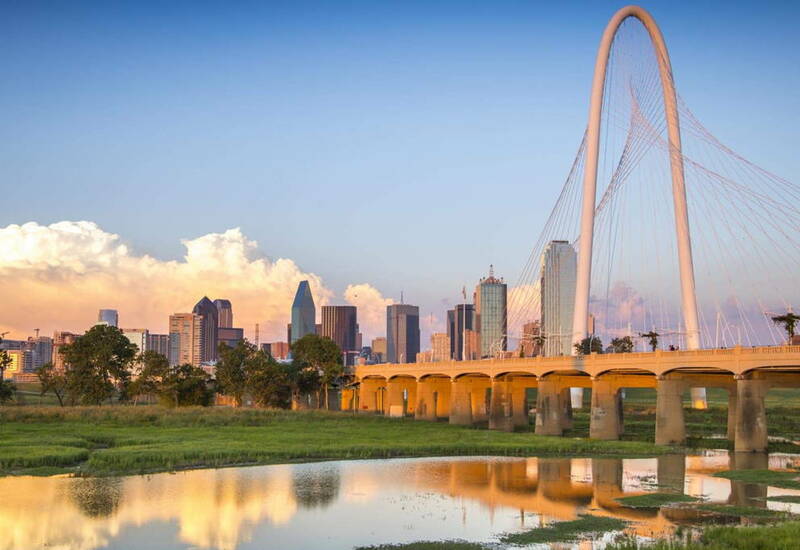 Take the Dallas Tollway North towards Highway 635 (Lyndon B. Johnson Freeway). After exiting stay in the left hand lane and make a u-turn over Highway 635. DO NOT get on Preston Road. Take Highway 635 West (Lyndon B. Johnson Freeway) to Exit 22A (Preston/Montfort Exit). Hair Club of North Dallas made me look and feel 20 years younger. Of course, most of us are a bit apprehensive about how this will look and the potential for hair shock! The Dallas Team led by Denise, Kevin, Sherry, Meghan, and Chantee provided and continue to provide fantastic styling services to me! The key to overall success in the Hair Club System is for the customer to literally take ownership and control of their new hair system. Following staff instructions, asking questions, and using the Hair Club styling products have helped me look my best ever! I believe in the Hair Club customer service and their products. The Dallas, TX Hair Club management requested me to become a VIP for their firm. When I speak about my Hair Club system to friends, they cannot believe how great this looks on me! My old hair stylist, who tried so hard to cover my baldness, could not believe my new hair and natural look. She told me, “It’s a miracle!” I continue to say to anyone who is considering the Hair Club hair systems and products, Believing is Seeing! Paz and Tan have been great as my stylists. I lost my longtime stylist when she stayed home with her family and she recommended them. They are both excellent and take great care to do what I like. There's does a great job and is the best stylist there. Very lucky to have found Tracy Morrison for the past 14 years. She is the best stylist ever. Extremely helpfull staff...very accomodating. My stylist is top notch in every sense. Other stylist that I have dealt with when Tracy is not available have also been very helpful. This place is awesome. The girls at the front counter, especially Ashley, are accommodating to my husbands hectic schedule. The stylists are talented and his hair never looked better! Hair Clubs solution has made such a difference in our lives. Ive now got a great looking guy who looks years younger. My husband recently landed an important new position and we know that, in part, it was because of his great hair! The office is a pleasant professional place, has ample parking and snacks and beverages during your appointment.